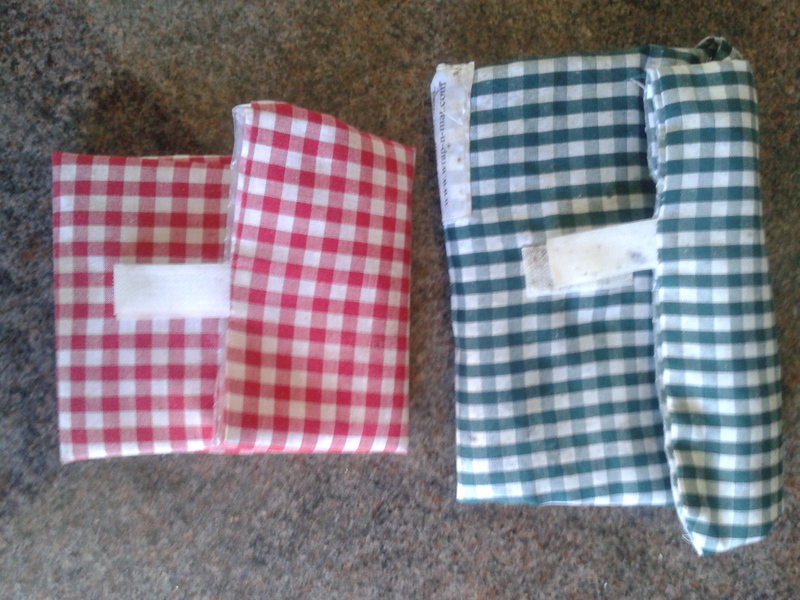 I had to share these brilliant wraps that make picnics & lunch boxes so much easier and less wasteful. I found them on Nigel’s Eco store. I bought the first two for my sons about four years ago. Now all five of us have our own wrap, thankfully they make them in five different colour ways! My 15yr old has a large one & the rest of us have the standard. It’s such a clever idea, a square of cotton fabric backed with a plastic sheet. Make your sandwich up and place in the centre of the wrap on the plastic, then fold the two sides over your food, then the bottom side, with the Velcro on it. The top flap folds over and you can secure the Velcro. We found on our holidays in Cornwall that they even kept the warm pasties From the village shop warm until lunch time. The great thing is that the wrap opens up as a ‘plate’ catching all the crumbs. What I like most of all is no fiddling by kids with cling film or wasteful yards of tin foil being used. As you can see ours are lasting well after four years so a bargain at £4.99 each!